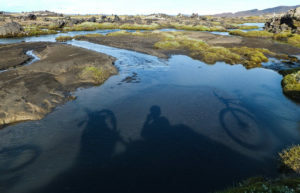 Iceland is famous for its unspoiled natural beauty and the increased tourism creates environmental challenges for us. We recognize our responsibility as being part of the solution and are committed to maximizing the positive and minimizing the negative environmental, economic, and social impacts in our tours around the country. We aim to constantly improve our good work in collaboration with our guests, partners and staff. We don’t accept reckless and/or off trail riding!